After months of drooling over Becca’s pinterest board titled Donuts, Donuts, and more Donuts, I FINALLY got a donut pan. 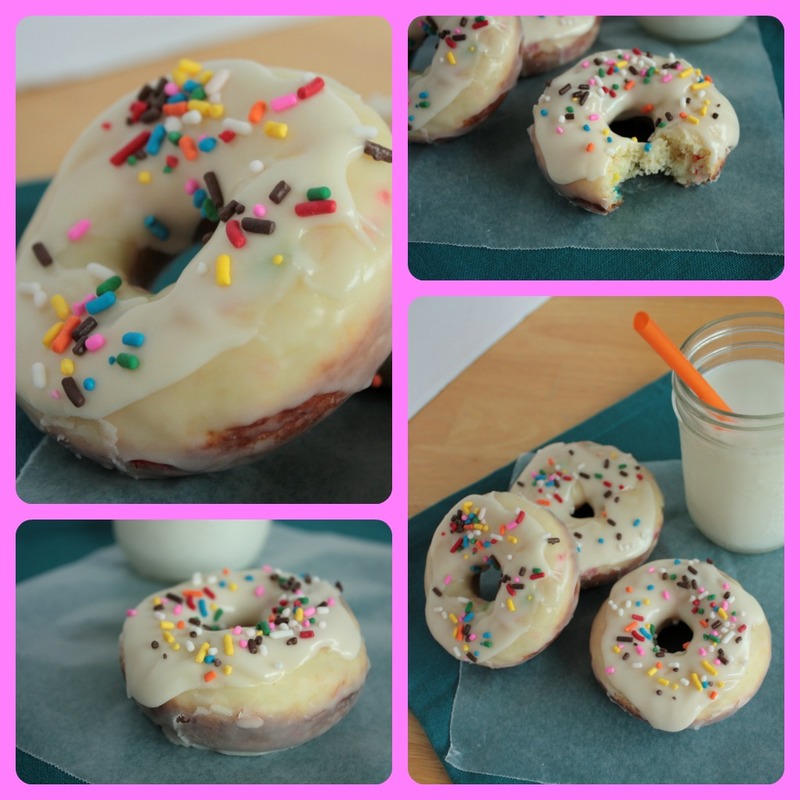 I have only used it twice and I know that there will be MANY more donut adventures and experiments to come, but on my second attempt I made Double Glazed Funfetti Donuts that I saw over at Cookies and Cups. 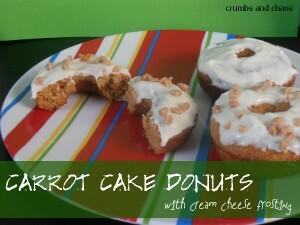 They are a very sweet and colorful morning treat that got rave reviews from everyone in the house!!! But beware… they may put you on a never ending quest for more donut recipes. Preheat oven to 425 degrees. Spray the donut pan lightly with cooking spray. In mixing bowl beat all cake ingredients on medium speed for 30 seconds. Transfer batter to a large ziploc bag. Cut the corner of the bag and fill each donut mold 2/3 of the way full. Bake for 7 minutes or until lightly brown. Let cool in pan for 5 minutes. 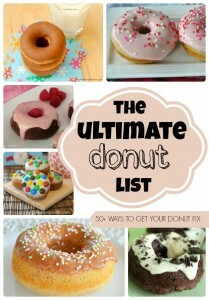 Then place each donut on a cooling rack with wax paper underneath. In medium saucepan combine glaze ingredients with a whisk over low heat. Stir until glaze is smooth. 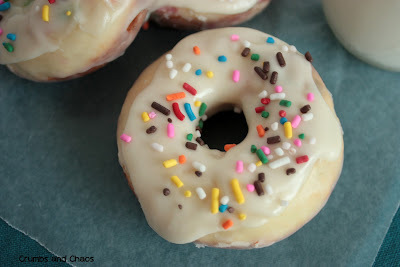 Then drop each donut into the pan and flip to coat completely with glaze. Remove from pan and place on cooling rack over wax paper. Let glaze set for 15 minutes. Meanwhile mix frosting ingredients until smooth. Then frost each donut and top with sprinkles immediately. ENJOY! Makes 12 donuts. You can find us linking up HERE and at the Weekend Potluck! These look so good, thats waht i have to get a donut pan! thanks for sharing! 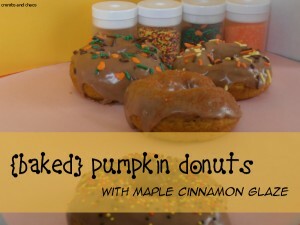 I am going to have to make these…yummy! You may want to check you link to Cookies and Cups…it takes me to my blogger home page? I clicked several times and still it takes me to Blogger. Yea for breaking out the donut pan and joining us!!! 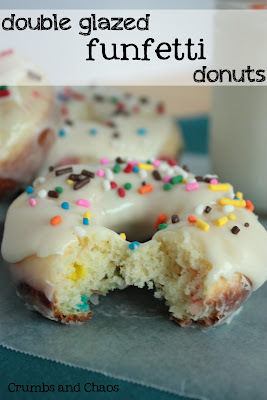 These funfetti ones look awesome and double glaze? Hello delish idea!!!! 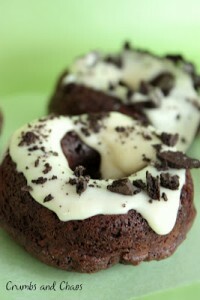 Drool, drool, drool, love this donut!!!! Wish I could have one now, I love funfetti anything! How am I ever supposed to get my eating on track with recipes like this all over blogland!!? yummmmyy!!! You are so killing me right now. 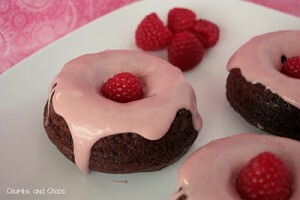 I am making these tomorrow! I have doughnut pans and have been searching for new recipes. These are definitely a must try and they look so yummy! Can you send me a dozen please?? They look sooo moist…. drooling over here! I made this for 4th of July and it was a BIG hit. I wanted to to come back and let you know how everyone loved it. 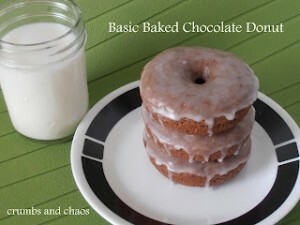 This is my new go to doughnut recipe. Thanks!